We like to stock on this at home. 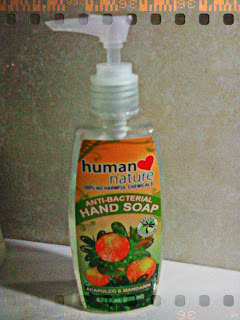 OK, I just want to make a short rave review on Human Nature's humble, acapulco anti-bacterial hand soap. I'm usually quite finicky about hand soaps because most of the time they leave my hands dry and doesn't exactly remove the funky smells that stick to my hands when I handle raw ingredients in the kitchen whenever I am forced to help out in making dinner. I get irked when I have to handle onions, garlic, and meat (which are, more often than not, a staple in our meals) because the smell doesn't come off my hands easily, even after a few washes with soap. It doesn't matter if it's scented or not. It just isn't effective. 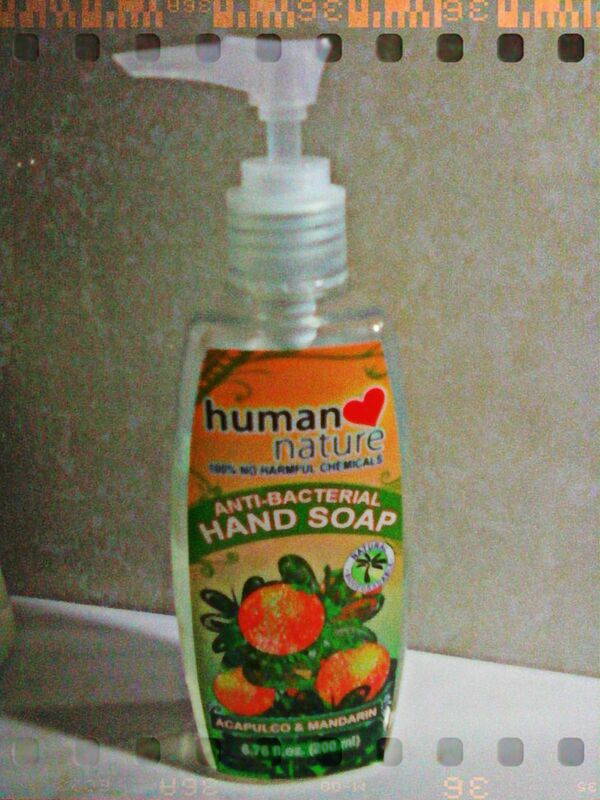 So one day, my mom stocked up on Human Nature hand soap for the kitchen and bathroom. I had just chopped and minced onions and garlic. After washing my hands with this soap, I was thrilled when the smell and stickiness of the food was gone and on top of that, it doesn't dry my skin. This is a definite staple for the kitchen. Admittedly, I also use this hand soap to clean the chopping board because it immediately gets rid of the smells, and I also use this to wash out period stains from delicate underwear. I'm not weird. I can tell you it friggin' works. Best part that I cannot stress enough: it is completely chemical free, uses natural, organic ingredients, and claimed cruelty-free by PETA.